The Gigstarter Artist of the Year 2017 competition has commenced and artists on Gigstarter can now compete! We are looking forward to an exciting competition and to be blown away by amazing performances during the live final of the competition. What is Gigstarter’s #Artist2017 competition? The Gigstarter Artist of the Year is an international competition for solo-artists // bands & DJs. It consists of an online voting element and a live event on November 18, 2017, held in a popular venue in Amsterdam, the Netherlands. How can I vote for my favorite artists? Go to your favorite artist’s profile. At the top of the page you’ll find a banner with a "Vote Now" button. To make sure every vote is unique we ask you to authenticate yourself through Facebook. Take a look at the full list of contestants to see which artists you can vote on! To participate as an artist, you first need to have a public profile on Gigstarter. 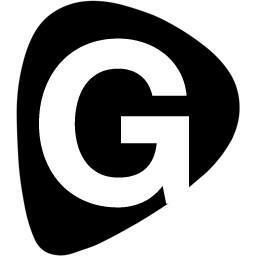 If you are an artist and don’t have a profile on Gigstarter yet, sign up now! As an artist on Gigstarter, you need to log in, go to your Artist Dashboard and click the "Participate" button. This makes a "Vote" button appear on your public Gigstarter profile. You can then invite your fans and followers to your Gigstarter profile to vote for you on your profile. All artists who have a public profile on Gigstarter and who play their own songs can participate in the Artist of the Year competition. For DJs a parallel competition is organised without any musical restrictions. People can vote for you from September 29th till midnight of October 27th. At that point, the 3 artist with most votes will receive an invitation to perform a live gig during the finale. The DJ with most votes will be invited to play its music during and after the event. The finale will take place on the 18th of November at a popular music venue in Amsterdam. We hope to see you November 18th at the Gigstarter of the Year 2017 final!